The striking NOHrD Club bike (also referred to as the Club Sport) makes a statement whilst performing on every level. 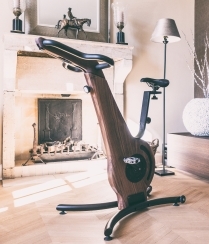 With it's richly stained ash wood, whether you have a home gym, a small studio or a PT gym, the bike is pretty unique as exercise equipment goes. You can marry up with other wood equipment, or simply have as a stand alone piece. Versatile in that you can choose different racing positions as well as choose to be more indoor cycling than exercise bike. 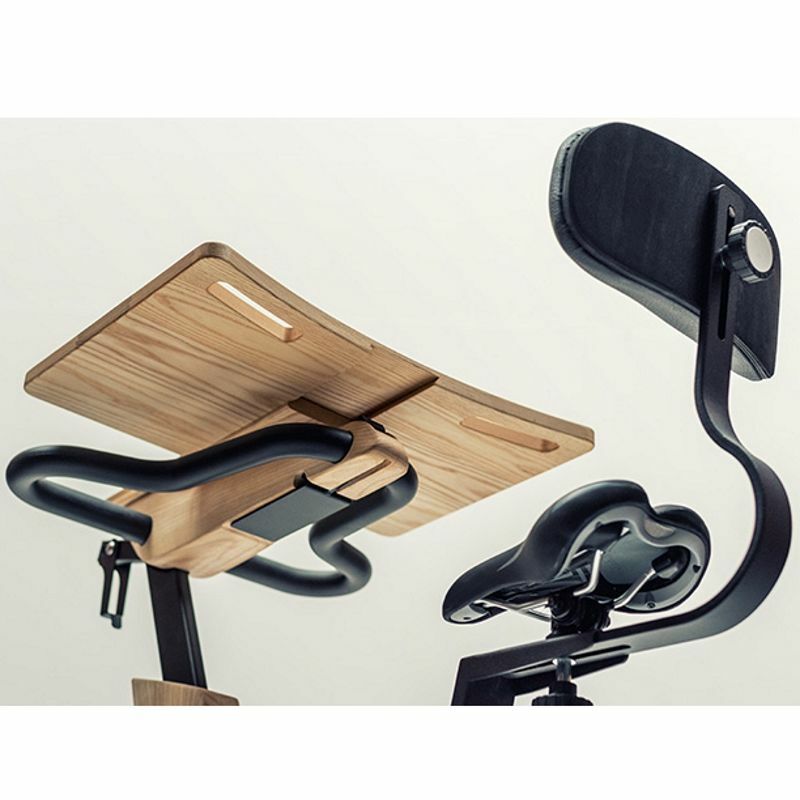 The NOHrD bike can also be used as a work station simply by adding the back rest and laptop stand that are optional extras. All the wood is ethically sourced so you're also helping to save the planet. The NOHrD Bike is nothing but distinctive in ever sense. 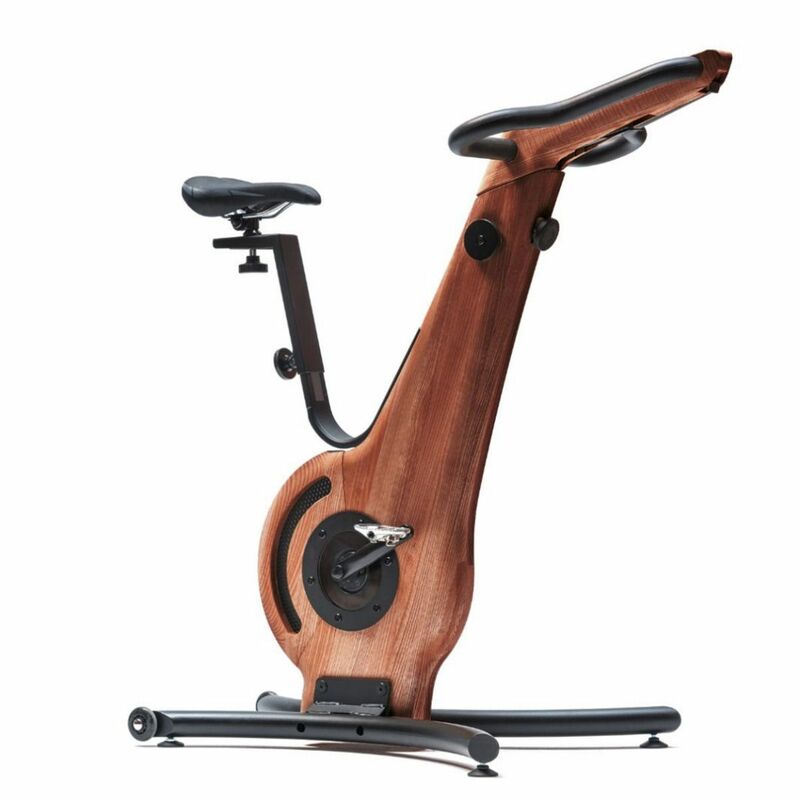 A sleeker and more designed upright bike, that uses the richly stained ash wood for the Club model to stand out wherever you put it. Popular with home, studio and offices, the more stylish gyms are also starting to take note. It's frame is made from Ash and then NOHrD designers went to town. 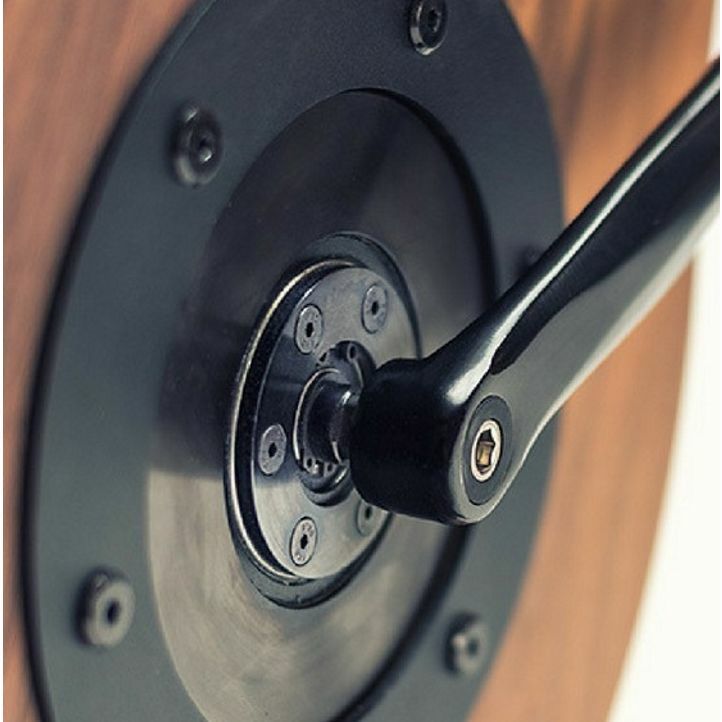 Added to the frame design, the NOHrD Bike has ergonomic handlebars, uses a planetary gear unit with a 1:8 ratio and eddy currents to ensure you get a smooth pedalling action. The eddy current resistance is easy to adjust and just so smooth. Dual function pedals are also a great touch. All of this allows you to switch between indoor cycle type training to more "exercise bike" workout with ease. *Image shows Walnut wood for illustration purposes. 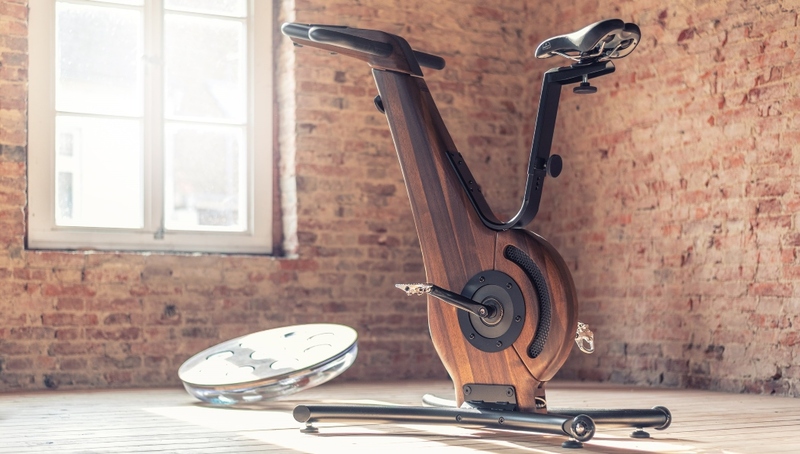 You can't deny the NOHrD Bike would become a talking point in your home or studio. As a focal point it could show your contemporary side, or that you want to be ecological in all you do. But what about how it performs? The NOHrD Club Bike allows any one of any level to train. Back to it's ecological credentials. 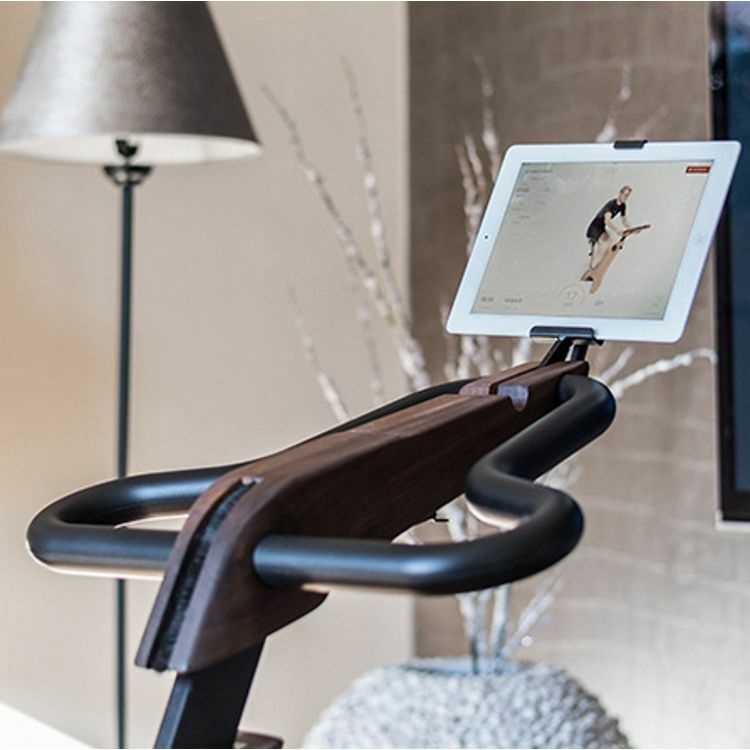 The Ash wood is sourced from sustainable wood sources and as you do not need electricity to power a console, it's about as green as any fitness equipment could be. Putting the design aside, NOHrD ensured first and foremost that the eddy current resistance is easy to use, incredibly durable and above all, as quiet as possible. Finally, the positioning of the handlebars and seat adjustments means you can get exactly into the riding position you want, but you can also turn your bike into a workstation with the optional laptop tray and back rest. 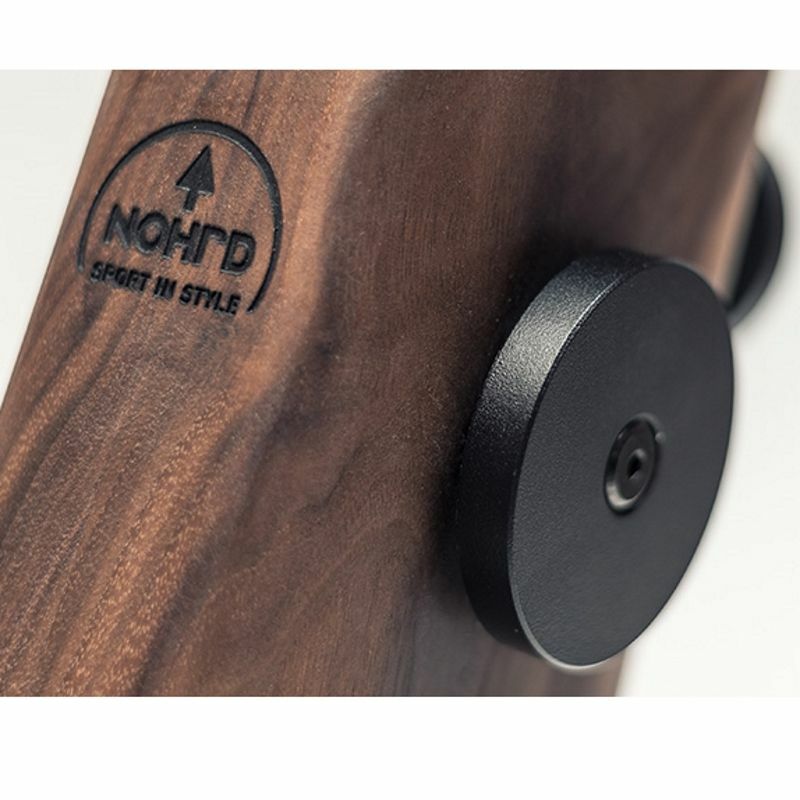 Making sure this bike is about as versatile as they come, NOHrD offer two simple accessories and an app to help you get the most from your NOHrD Club bike. Simple and easy to attach, this laptop tray accessory enables you to work whilst you exercise - or just to sit somewhere different to plan out your day (Sold seperately). To allow you to sit more comfortably, this attachment should be purchased alongside the laptop attachment. The backrest attaches to the saddle with ease, supporting your back and encouraging the right posture for a workspace (Sold seperately). Availble on Apple store and Android, download the app to your smartphone or tablet and place it on the handlebars for workout data and feedback. Solid wood frame, with steel structure. Wood frame (Choice of 5). Metal parts can be selected in either powder-coated steel or electropolished stainless steel. None supplied. Built-in smartphone and tablet holder.